BlackBerry Mobile today released an official guided tour of the soon-to-launch BlackBerry KEY2. Pre-orders for the device have started in the U.S. at Amazon and Best Buy, and the phone is priced at $649.99. The actual release date in the states is July 13th. The phone is available for GSM carriers only, such as T-Mobile and AT&T. The video tour mentions certain things that you might not know about the KEY2, including the fact that it is made using sturdy Series 7 aluminum that helps to protect the device from drops and falls. Of course, you can't mention the KEY2 without discussing the physical QWERTY keyboard, which has keys that are 20% larger than the ones on the KEYone. It also has the SpeedKey, which turns each letter into a shortcut for up to 52 apps. The space bar doubles as a fingerprint scanner, and the entire QWERTY can be used as a track pad. Other features mentioned include the large 3500mAh battery that allows the unit to run as long as two days between charges. With Quick Charge 3.0, the battery can go from 0% to 50% in just 36 minutes. There is also the first dual camera setup to be found on the back of a BlackBerry handset with features such as 2X optical zooming and 4K video recording. And with Locker, files and photos you want to keep private are locked away in a fingerprint or password protected "vault." Take a tour of the BlackBerry KEY2 by clicking on the video below. The more I see of the BlackBerry KEY2, the more I know it’s my next BlackBerry smartphone. Ticks all of the right boxes for me. Can’t wait to get my hands on one. Oh, the silver one! It is just so good-looking. I can't wait! That silver one looks good. I just wish it wasn't so expensive compared to flagship phones. Compared to flagships from 2012, yes it's expensive. But today's flagships aren't $650, they're well north of $850 and the Key2 isn't a flagship nor has TCL ever tried to claim it is. Might want to look again Crispin. I have seen S8 prices right around the same price as the KeyTWO. The S8 may be a one year old phone, but its specs are still pretty good. Same thing with the iphone 7 Plus. The Essential Phone can be found for less than $400. I never said it was a flagship, but it's pretty much being charged at flagship prices. Might want to compare smartphone prices at the time of launch for a fair comparison, mxy. The S8 has been out about a year before the KEY2 and has now experienced a price drop. The price at launch was more than the KEY2’s. Same thing with the 7 Plus. Only the Essential Phone was around the same price or less than the KEY2 at launch, and for the amount of issues it’s been having, it should have been less than it was at launch. It’s not a flagship, and not even the makers of the KEY2 are calling it that. What it is, is arguably the best smartphone for productivity and longevity. Don't try to move the goalpost back, aegislash. I don't think it matters much. We are talking about right now. Those phones are still cutting edge and still considered flagship despite being a year old. Since you want to get technical, the Moto X Pure Edition was a flagship smartphone that was $399 at launch. What other excuses do you have? I'm not denying that it's a good phone for productivity, but that still doesn't change the fact that it's expensive. LMAO! It’s hilarious that you would say I’m someone else because I called you by the name of your 1st account here. No one is moving the goalposts except you, as you are comparing prices of year old phones to brand new ones when the older ones have experienced a price drop already. That’s not how it works. The MXPE (a phone you have pretended to own) was launched 3 years ago. No way you can compare prices from 3 years ago to prices now. You’d be delusional to think that component prices have not gone up since then. It’s not expensive when compared to the current flagships of today. It's even more hilarious that you are still hung up on me being someone I'm not. You need to let it go and stop with the baseless assumptions. I am merely comparing prices to what's available. Who cares what they were when they were first released. So I give you an example of a flagship phone that was released at a similar price point, and you still try to dismiss it? You're just mad because I provided an example that basically nullified your argument. Btw, I have never once claimed to have owned a Moto X Pure. I can get a brand new S9 for about the same price. Next excuse. It’s even more hilarious that you think anyone believes you when you say that you aren’t the person you really are. You need to let it go and own up to who you are. You are comparing prices of smartphones that have experienced a price drop to a brand new one. That’s not how this works. M It’s not a dismissal, it’s a fact. You keep trying to compare smartphones that cost less compared to ones that cost more all while ignoring things like what year they were launched and have they had their initial price reduced. Now you’re seething with anger because you know that I’m correct, and yes, you did claim to own one in your first account. A brand new S9 costs more than the KEY2, unless you’re getting one that’s been reduced in price. Nice try, though. Why don't you take your own advice and acknowledge that you have multiple accounts? I have seen other users call you out on it only for you to be coy about it. Are you serious? Do you honestly think people who do phone reviews don't do the same? The only reason you say that is because you don't want to admit that the price is too steep. I literally gave you an example that you requested, and you still dismissed it because you know that I was right. I'm not seething with anger because I'm not the one who continues to be defensive about it. Show me where I have claimed to own one. Show me where you saw the name, Venom, say that he owned the Moto X Pure Edition. https://www.androidcentral.com/deal-get-200-samsung-galaxy-s9-cricket A recently ended promo. You were saying? Lol, why don’t you stop trying to project your multi-account ways onto me? Especially when you’ve already admitted to having multiple accounts in one of your now banned accounts. EVERYONE here knows who you really are, and call you out on it constantly. People who do phone reviews compare apples to apples. The few that don’t really don’t know what they are doing. I say it because it’s true. You gave me an “example” WITHOUT taking into account the cost of goods, so it’s not a good example. The only reason why you keep trying to push it as one is because you know I’m right but won’t admit it because it’s me. You claimed to own one in your first account. You can make all the new accounts that you want since your others keep getting banned, but you’re still the same person doing the same things you’ve always done since your first account here. There is a reason that more and more people keep saying who you really are. By showing a link to a promo, all you’re doing is proving my point. Do continue. Your reading comprehension suffers more by the day. It's 2018 so let's keep it there. Did you even bother to read my comment? It does look good. And it’s less than what the current crop of flagships costs when they were first introduced. And less than many now. I think this phone should be $399-$499. That would have been the sweet spot for the price because it does have slightly better internals than the first one, but not enough to charge a premium for. Just my thoughts on the matter. Can’t say enough how glad I am that the KEY2 offers most of what flagships offer, things that flagships don’t offer, and still costs less than the current crop of flagships, despite the price increase when compared to the KEYᵒⁿᵉ. Those in the market for a KEY2 will buy one, as you can’t get certain things that it offers anywhere else. Actually some flagship are right around the same price. I said SOME. Reading comprehension is fundamental. And I said MOST aren’t. Take your own advice on reading comprehension. 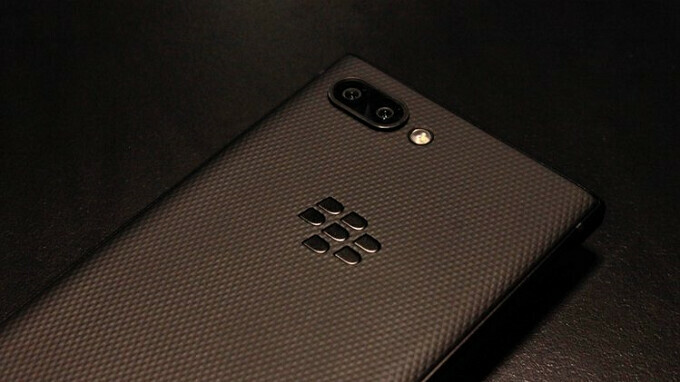 https://www.phonescoop.com/articles/article.php?a=20747 https://forums.crackberry.com/blackberry-key2-f472/verizon-key2-waiting-room-1146969/ If you check the links above, there are reports of the KEY2 working on Verizon’s VoLTE network after a Verizon SIM card has been inserted and a reset has been done on the KEY2. It’s also been said by Phonescoop (second link) that the U.S. KEY2 will work on both Verizon and Sprint. Perhaps official confirmation from Verizon will be made once the phone is officially released in the U.S. on July 13th. As for CDMA (which Verizon and Sprint still use, but are actively moving away from), it’s a dying, outdated network due to be replaced by CDMA carriers in the U.S. with VoLTE some time next year. Phone manufacturers will not waste money on a dying network. Technology moves forward at incredible speeds, and the outdated gets left behind and trashed. I agree. It's not like users don't exist on Verizon and surprisingly Sprint. CDMA hasn't kicked the bucket yet even though that's not what you were saying at all. CDMA is dying fast. It’s outdated technology, and no OEM is going to waste money on a network that’s about to be dumped in the trash unless there is a rock solid guarantee that they will have enough buyers to justify it. That’s business 101. We will see when the next iphone and the Note is released. Of course we both know that you're going to be wrong yet again. CDMA is dead when it's officially decommissioned with no active users on the pipeline. The next Note or iPhone being released has nothing to do with CDMA dying. That’s a FACT. Of course, we both know that you’re wrong, but you just like to go against anything I say because it’s me. I noticed how you avoided the rest of my comment, because you know that you can’t disprove it. I never said it did, but those are two major upcoming smartphones. I understand that this is just another instance of you moving the goalpost back again. I didn't avoid any part of your comment. I find it funny that you don't consider Verizon as being enough users when it's the number one carrier in the US in terms of subscribers. So then why bring them up if it doesn’t relate to what I’m saying? This is just another case of you trying to pass off your fabrication as fact. Of course you did. That’s why you didn’t respond to that part of my comment, because you can’t dispute it. I find it hilarious that you don’t even understand what I meant by my comment. Then again, comprehension has never been your strong suit.